In the mood more something different yet familiar. 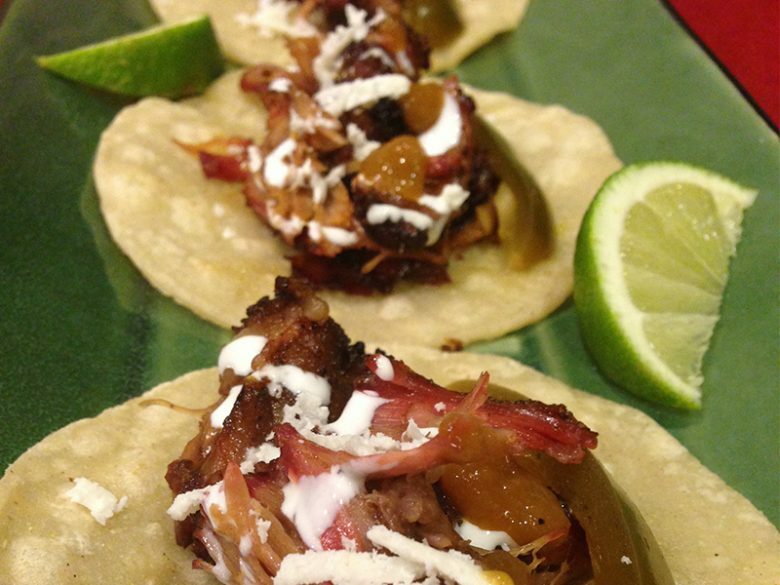 Tacos are a staple for many Americans, but have you ever tried them with ox tails? Here is the recipes for something smokey, savory, spicy and unique. 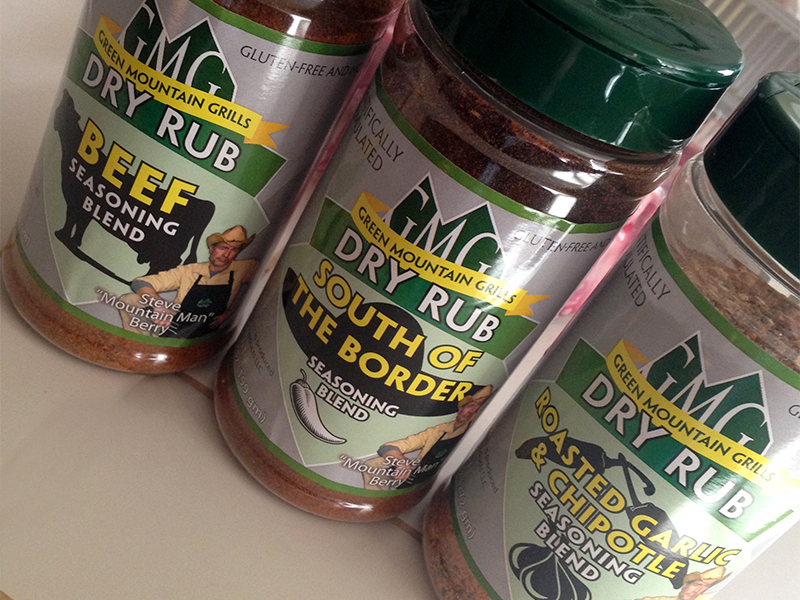 The first step is to season your ox tail pieces with GMGs South of the Border, Roasted Garlic and a little beef rub. Next start your GMG and set it to 450, once heated sear all sides of the ox tail until crisp and browned. 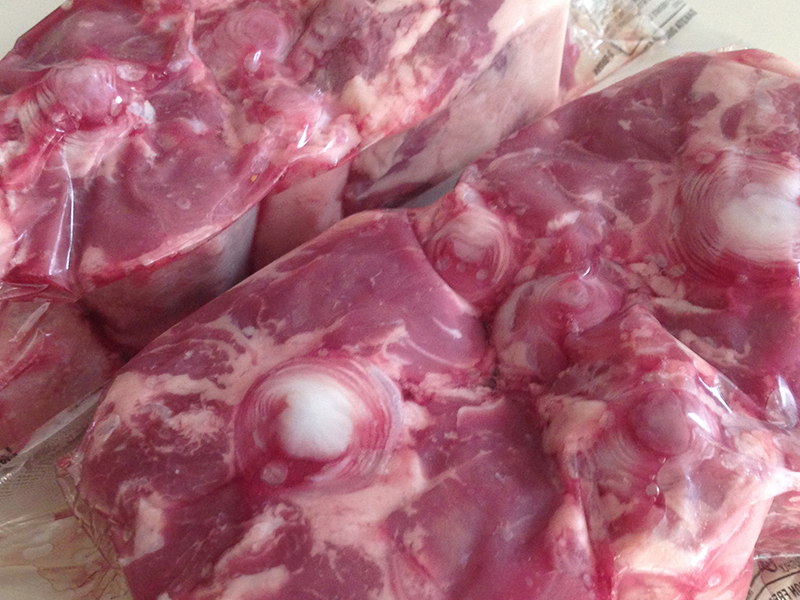 Remove your ox tail from the grill place in Tin tray or other cooking dish. 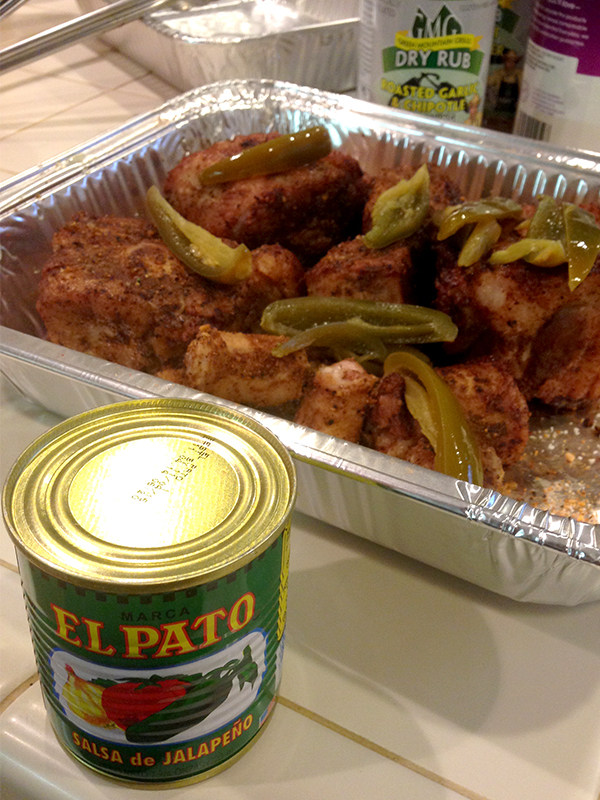 Add 1/2 a can of El Pato sauce and a handful of jalapeños (depending on how much spice you like it). Return pan to the smoker, turning it down to 330. 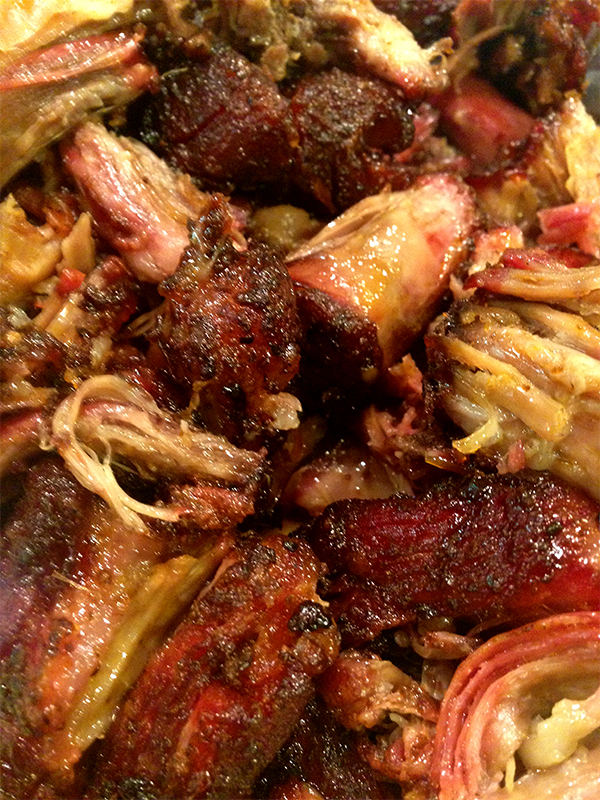 Let the Ox tails smoke in pan for 1 hour turning once during cooking. Then add the water and cover tightly with tin foil. 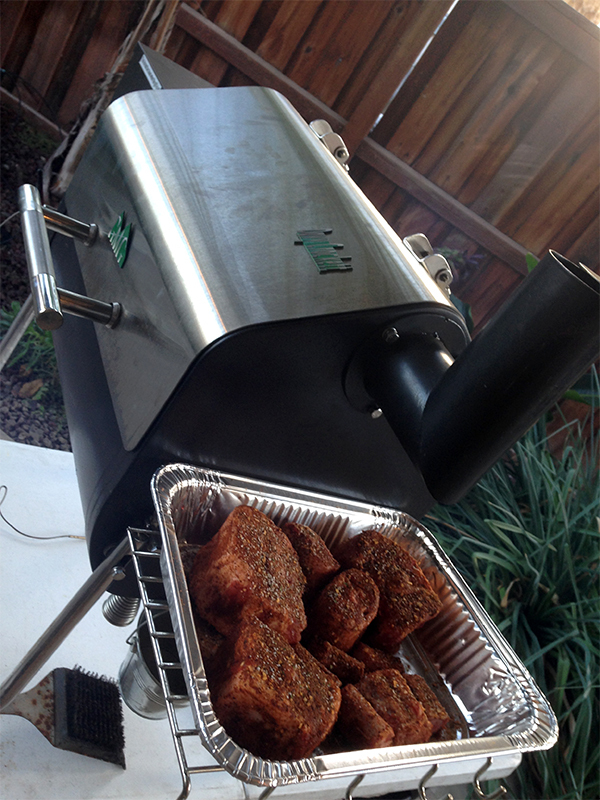 Return to smoker for 2 1/2 hours. 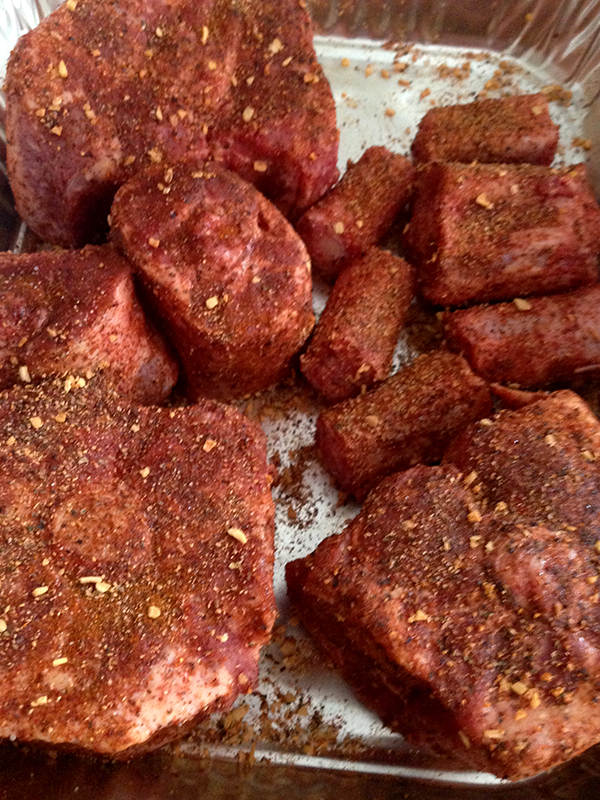 Let them cool slightly and then shred the meat. Season lightly in pan with salt and pepper and add a touch more El Pato Sauce. Return to grill while you heat the tortillas. Spray tortillas lightly with cooking spray and grill until they start to brown on edges. Compete your tacos with Crema Mexican, Jalapeño and Cojita cheese. Or top with your own favorite ingredients.